Get James Taylor essential facts below. 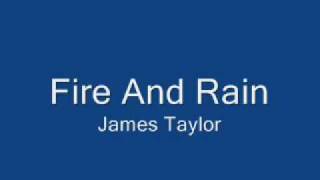 View Videos or join the James Taylor discussion. 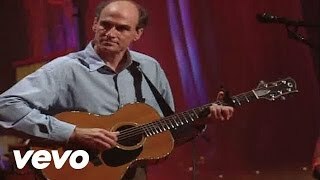 Add James Taylor to your PopFlock.com topic list for future reference or share this resource on social media. 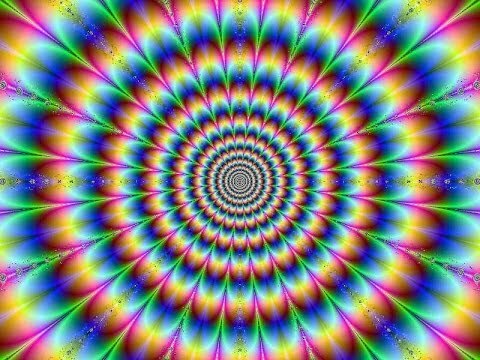 Taylor achieved his breakthrough in 1970 with the No. 3 single "Fire and Rain" and had his first No. 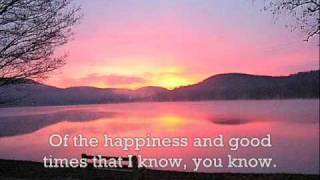 1 hit the following year with "You've Got a Friend", a recording of Carole King's classic song. His 1976 Greatest Hits album was certified Diamond and has sold 12 million US copies. Following his 1977 album, JT, he has retained a large audience over the decades. Every album that he released from 1977 to 2007 sold over 1 million copies. He enjoyed a resurgence in chart performance during the late 1990s and 2000s, when he recorded some of his most-awarded work (including Hourglass, October Road, and Covers). He achieved his first number-one album in the US in 2015 with his recording Before This World. He is known for his popular covers of other people's songs, such as "How Sweet It Is (To Be Loved by You)" and the aforementioned "You've Got A Friend", as well as originals such as "Fire and Rain". James Vernon Taylor was born at Massachusetts General Hospital in Boston on March 12, 1948, where his father, Isaac M. Taylor, worked as a resident physician. His father came from a wealthy Scottish family from the South. His mother, the former Gertrude Woodard (1921-2015), studied singing with Marie Sundelius at the New England Conservatory of Music and was an aspiring opera singer before the couple's marriage in 1946. James was the second of five children, the others being Alex (1947-1993), Kate (born 1949), Livingston (born 1950), and Hugh (born 1952). There, Taylor started applying to colleges but soon descended into depression; his grades collapsed, he slept 20 hours each day, and he felt part of a "life that [he was] unable to lead." In late 1965 he committed himself to the renowned McLean Hospital in Belmont, Massachusetts, where he was treated with Thorazine and where the organized days began to give him a sense of time and structure. As the Vietnam War escalated, Taylor received a psychological rejection from Selective Service System when he appeared before them with two white-suited McLean assistants and was uncommunicative. Taylor earned a high school diploma in 1966 from the hospital's associated Arlington School. He would later view his nine-month stay at McLean as "a lifesaver... like a pardon or like a reprieve," and both his brother Livingston and sister Kate would later be patients and students there as well. As for his mental health struggles, Taylor would think of them as innate and say: "It's an inseparable part of my personality that I have these feelings." "James had been through so much by the time he was twenty that he had so much to express in his music. Other young artists of his age whom I worked with sang about how good or bad life was but really had no idea what they were singing about. James was already singing with the conviction of a singer much older than himself. Everything that he had already been through was evident in his songwriting." His career success so far and appeal to female fans of various ages piqued tremendous interest in him, prompting a March 1, 1971, Time magazine cover story of him as "the face of new rock." It compared his strong-but-brooding persona to that of Wuthering Heights Heathcliff and to The Sorrows of Young Werther, and said, "Taylor's use of elemental imagery--darkness and sunlight, references to roads traveled and untraveled, to fears spoken and left unsaid--reaches a level both of intimacy and controlled emotion rarely achieved in purely pop music." One of the writers described his look as "a cowboy Jesus," to which Taylor later replied, "I thought I was trying to look like George Harrison." Released in April, Mud Slide Slim and the Blue Horizon also gained critical acclaim and contained Taylor's biggest hit single in the US, a version of the Carole King standard "You've Got a Friend" (featuring backing vocals by Joni Mitchell), which reached #1 on the Billboard Hot 100 in late July. 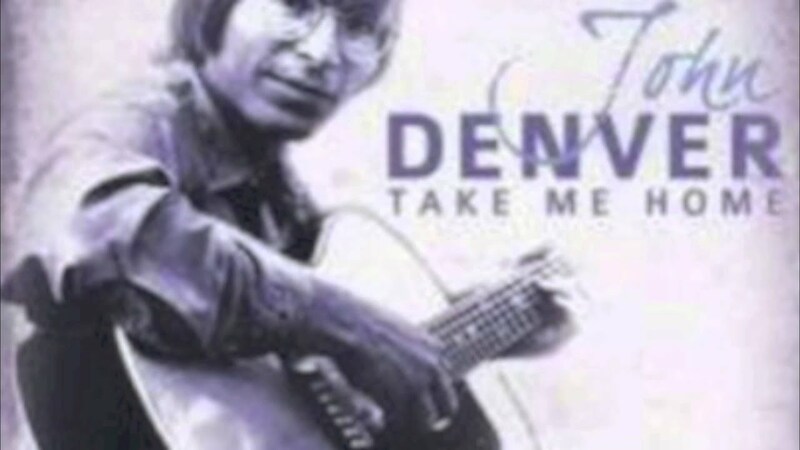 The follow-up single, "Long Ago and Far Away," also made the Top 40 and reached #4 on the Billboard Adult Contemporary chart. The album itself reached #2 on the album charts, which would be Taylor's highest position ever until the release of his 2015 album, Before This World, which went to #1, superseding Taylor Swift. With the close of Taylor's contract with Warner, in November, the label released Greatest Hits, the album that comprised most of his best work between 1970 and 1976. With time, it became his best-selling album ever. It was certified 11 Platinum in the US, earned a Diamond certification by the RIAA, and eventually sold close to 20 million copies worldwide. In 1977 Taylor signed with Columbia Records. Between March and April, he quickly recorded his first album for the label. JT, released that June, gave Taylor his best reviews since Sweet Baby James, earning a Grammy nomination for Album of the Year in 1978. Peter Herbst of Rolling Stone was particularly favorable to the album, of which he wrote in its August 11, 1977 issue, "JT is the least stiff and by far the most various album Taylor has done. That's not meant to criticize Taylor's earlier efforts.... But it's nice to hear him sounding so healthy. "JT reached #4 on the Billboard charts and sold more than 3 million copies in the United States alone. The album's Triple Platinum status ties it with Sweet Baby James as Taylor's all-time biggest selling studio album. It was propelled by the successful cover of Jimmy Jones's and Otis Blackwell's "Handy Man," which hit #1 on Billboard's Adult Contemporary chart and reached #4 on the Hot 100, earning Taylor another Grammy Award for Best Male Pop Vocal Performance for his cover version. The song also topped the Canadian charts. The success of the album propelled the release of two further singles; the up-tempo pop "Your Smiling Face," an enduring live favorite, reached the American Top 20; however, "Honey Don't Leave L.A.", which Danny Kortchmar wrote and composed for Taylor, did not enjoy much success, reaching only #61. Back in the forefront of popular music, Taylor collaborated with Paul Simon and Art Garfunkel in the recording of a cover of Sam Cooke's "Wonderful World," which reached the Top 20 in the U.S. and topped the AC charts in early 1978. After briefly working on Broadway, he took a one-year break, reappearing in the summer of 1979, with the cover-studded Platinum album titled Flag, featuring a Top 30 version of Gerry Goffin's and Carole King's "Up on the Roof." (Two selections from Flag, "Millworker" and "Brother Trucker", were featured on the PBS production of the Broadway musical based on Studs Terkel's non-fiction book Working, which Terkel himself hosted, and Taylor himself appeared in that production as a trucker; he performed "Brother Trucker" in character.) Taylor also appeared on the No Nukes concert in Madison Square Garden, where he made a memorable live performance of "Mockingbird" with his wife Carly. The concert appeared on both the No Nukes album and film. On December 7, 1980, Taylor had an encounter with Mark David Chapman, who would assassinate John Lennon just one day later. Taylor told the BBC in 2010: "The guy had sort of pinned me to the wall and was glistening with maniacal sweat and talking some freak speak about what he was going to do and his stuff with how John was interested, and he was going to get in touch with John Lennon. And it was surreal to actually have contact with the guy 24 hours before he shot John." The next night, Taylor, who lived in the next building from Lennon, heard the assassination occur. Taylor commented: "I heard him shoot--five, just as quick as you could pull the trigger, about five explosions." Taylor had thoughts of retiring by the time he played the Rock in Rio festival in Rio de Janeiro in January 1985. He was encouraged by the nascent democracy in Brazil at the time, buoyed by the positive reception he got from the large crowd and other musicians, and musically energized by the sounds and nature of Brazilian music. "I had... sort of bottomed-out in a drug habit, my marriage with Carly had dissolved, and I had basically been depressed and lost for a while," he recalled in 1995. "I sort of hit a low spot. I was asked to go down to Rio de Janeiro to play in this festival down there. We put the band together and went down and it was just an amazing response. I played to 300,000 people. They not only knew my music, they knew things about it and were interested in aspects of it that to that point had only interested me. To have that kind of validation right about then was really what I needed. It helped get me back on track." The song "Only a Dream in Rio" was written in tribute to that night, with lines like I was there that very day and my heart came back alive. The October 1985 album, That's Why I'm Here, from which that song came, started a series of studio recordings that, while spaced further apart than his previous records, showed a more consistent level of quality and fewer covers, most notably the Buddy Holly song "Everyday", released as a single reached No. 61. On the album track "Only You," the backing vocals were performed by an all star duo of Joni Mitchell and Don Henley. After six years since his last studio album, in 1997 Taylor released Hourglass, an introspective album that gave him the best critical reviews in almost twenty years. The album had much of its focus on Taylor's troubled past and family. "Jump Up Behind Me" paid tribute to his father's rescue of him after The Flying Machine days, and the long drive from New York City back to his home in Chapel Hill. "Enough To Be on Your Way" was inspired by the alcoholism-related death of his brother Alex earlier in the decade. 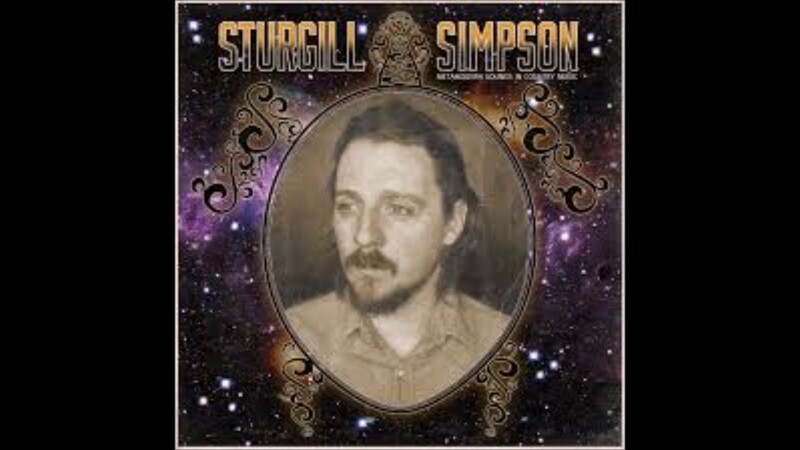 The themes were also inspired by Taylor and Walker's divorce, which took place in 1996.Rolling Stone Magazine found that "one of the themes of this record is disbelief", while Taylor told the magazine that it was "spirituals for agnostics". Critics embraced the dark themes on the album, and Hourglass was a commercial success, reaching No. 9 on the Billboard 200 (Taylor's first Top 10 album in sixteen years) and also provided a big adult contemporary hit on "Little More Time With You". The album also gave Taylor his first Grammy since JT, when he was honored with Best Pop Album in 1998. Flanked by two greatest hit releases, Taylor's Platinum-certified October Road appeared in 2002 to a receptive audience. 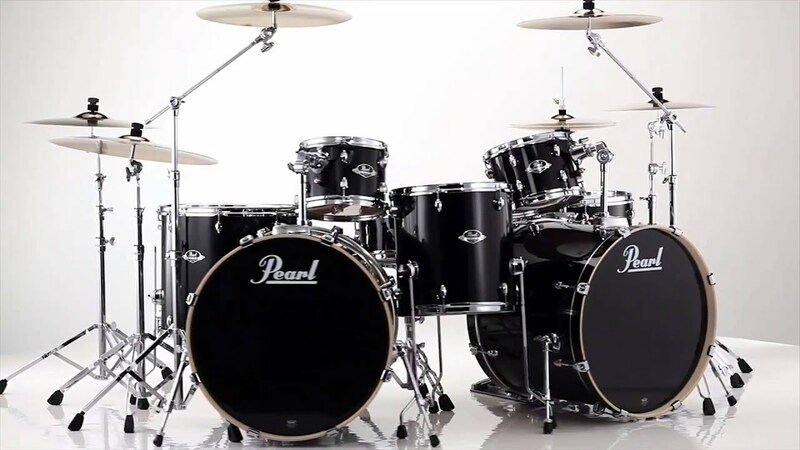 It featured a number of quiet instrumental accompaniments and passages. Overall, it found Taylor in a more peaceful frame of mind; rather than facing a crisis now, Taylor said in an interview that "I thought I'd passed the midpoint of my life when I was 17." 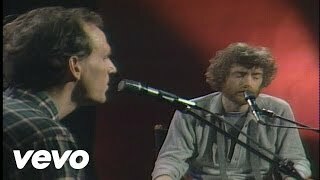 The album appeared in two versions, a single-disc version and a "limited edition" two-disc version which contained three extra songs including a duet with Mark Knopfler, "Sailing to Philadelphia", which also appeared on the title track of Knopfler's album by the same name. Also in 2002, Taylor teamed with bluegrass musician Alison Krauss in singing "The Boxer" at the Kennedy Center Honors Tribute to Paul Simon. They later recorded the Louvin Brothers duet, "How's the World Treating You?" 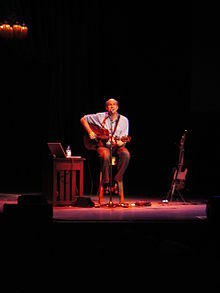 In 2004, after he chose not to renew his record contract with Columbia/Sony, he released James Taylor: A Christmas Album with distribution through Hallmark Cards. Taylor performed "The Star-Spangled Banner" at Game 2 of the World Series in Boston on October 24, 2004, and again on October 25, 2007 and "America" before the game on October 24, 2013. In December 2004, he appeared as himself in an episode of The West Wing entitled "A Change Is Gonna Come". He sang Sam Cooke's classic "A Change Is Gonna Come" at an event honoring an artist played by Taylor's wife Caroline. Later on, he appeared on CMT's Crossroads alongside the Dixie Chicks. In early 2006, MusiCares honored Taylor with performances of his songs by an array of notable musicians. Before a performance by the Dixie Chicks, lead singer Natalie Maines acknowledged that he had always been one of their musical heroes and had, for them, lived up to their once-imagined reputation of him. They performed his song, "Shower the People", with a surprise appearance by Arnold McCuller, who has sung backing vocals on Taylor's live tours and albums for many years. Taylor's next album, One Man Band was released on CD and DVD in November 2007 on Starbucks' Hear Music Label, where he joined with Paul McCartney and Joni Mitchell. The introspective album grew out of a three-year One Man Band Tour tour of the United States and Europe, featuring some of Taylor's most beloved songs and anecdotes about their creative origins--accompanied solely by the "one man band" of his longtime pianist/keyboardist, Larry Goldings. The digital discrete 5.1 surround sound mix of One Man Band won a TEC Award for best surround sound recording in 2008. On November 28-30, 2007, Taylor, accompanied by his original band and Carole King, headlined a series of six shows at the Troubadour. The appearances marked the 50th anniversary of the venue, where Taylor, King and many others, such as Tom Waits, Neil Diamond, and Elton John, performed early in their music careers. 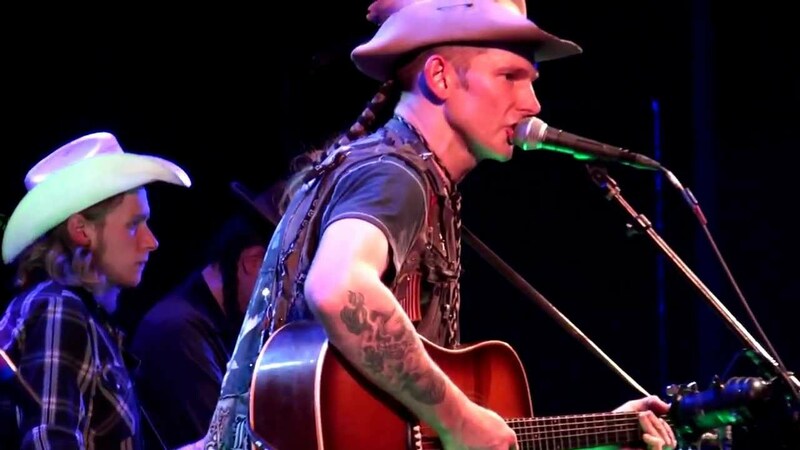 Proceeds from the concert went to benefit the Natural Resources Defense Council, MusiCares, Alliance for the Wild Rockies, and the Los Angeles Regional Foodbank, a member of America's Second Harvest, the nation's Food Bank Network. Parts of the performance shown on CBS Sunday Morning in the December 23, 2007, broadcast showed Taylor alluding to his early drug problems by saying, "I played here a number of times in the 70s, allegedly". Taylor has used versions of this joke on other occasions, and it appears as part of his One Man Band DVD and tour performances. 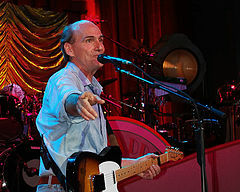 In December 2007, James Taylor at Christmas was nominated for a Grammy Award. In January 2008, Taylor recorded approximately 20 songs by others for a new album with a band including Luis Conte, Michael Landau, Lou Marini, Arnold McCuller, Jimmy Johnson, David Lasley, Walt Fowler, Andrea Zonn, Kate Markowitz, Steve Gadd and Larry Goldings. The resulting live-in-studio album, named Covers, was released in September 2008. The album forays into country and soul while being the latest proof that Taylor is a more versatile singer than his best known hits might suggest. The Covers sessions stretched to include "Oh What a Beautiful Morning", from the musical Oklahoma, a song that his grandmother had caught him singing over and over at the top of his lungs when he was seven years old. Meanwhile, in summer 2008, Taylor and this band toured 34 North American cities with a tour entitled James Taylor and His Band of Legends. An additional album, called Other Covers, came out in April 2009, containing songs that were recorded during the same sessions as the original Covers but had not been put out to the full public yet. During October 19-21, 2008, Taylor performed a series of free concerts in five North Carolina cities in support of Barack Obama's presidential bid. 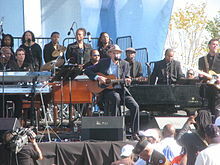 On Sunday, January 18, 2009, he performed at the We Are One: The Obama Inaugural Celebration at the Lincoln Memorial, singing "Shower the People" with John Legend and Jennifer Nettles of Sugarland. Taylor performed on the final The Tonight Show with Jay Leno on May 29, 2009, distinguishing himself further as the final musician to appear in Leno's original 17-year run. Taylor performed "The Star-Spangled Banner" at Game 2 of the World Series in Boston on October 25, 2007, at Game 2 of the 2013 World Series in Boston on October 24, 2013, at Game 1 of the 2008 NBA Finals in Boston on June 5, 2008, and at the NHL's Winter Classic game between the Philadelphia Flyers and Boston Bruins. He appeared on Sesame Street performing the song "Your Smiling Face" although the song was sung "Your Grouchy Face" as he sang it to Oscar the Grouch. He also appeared on the Sesame Street video compilation Silly Songs, and the album In Harmony: A Sesame Street Record, performing the song "Jellyman Kelly". He appeared on the final of Star Acade;mie, the Quebec version of American Idol, on April 13, 2009. 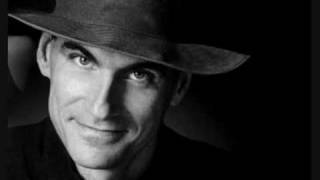 ^ "James Taylor Vinyl Records: Buy & Sell James Taylor CDs LPs Albums; Discography & Bio". Prex.com. March 12, 1948. Retrieved 2011. 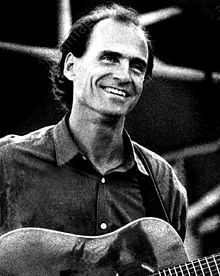 ^ "James Taylor: inducted in 2000 | The Rock and Roll Hall of Fame and Museum". Rockhall.com. Retrieved 2014. ^ Fanto, Clarence (November 14, 2013). "A James Taylor first: New album hit top of Billboard chart". The Berkshire Eagle. Retrieved 2015. ^ "James Taylor Earns His First No. 1 Album on Billboard 200 Chart After 45-Year Wait". Billboard. Retrieved 2015. ^ White, Long Ago and Far Away, pp. 50-51. ^ Susan Broili. "Native son coming to Carolina for tribute - Chapel Hill naming Morgan Creek bridge after James Taylor on April 26", The Chapel Hill Herald (Chapel Hill, NC), March 27, 2003, p. 1: "Even though Taylor was born in Boston on March 12, 1948, he moved to Chapel Hill when he was three and considers himself a North Carolinian." ^ White, Long Ago and Far Away, pp. 68-69. ^ a b White, Long Ago and Far Away, pp. 106-107. ^ a b c d e f White, Long Ago and Far Away, pp. 111-112, 114. ^ a b c d Beam, Alex (November 26, 2001). "Shrink Wrapped Drugs and Rock 'n' Roll Were Regular Features of Life at McLean Psychiatric Hospital in Belmont". The Boston Globe. Retrieved 2008. ^ a b c d e White, Long Ago and Far Away, pp. 118-119. ^ Dexter, Kerry (1997). "James Taylor and the Original Flying Machine - 1967". Folk and Acoustic Music Exchange. Retrieved 2008. ^ a b White, Long Ago and Far Away, pp. 120-123. ^ White, Long Ago and Far Away, pp. 127-129. ^ a b c White, Long Ago and Far Away, pp. 134-135. ^ a b White, Long Ago and Far Away, pp. 136-137. ^ a b c White, Long Ago and Far Away, pp. 137-140. ^ Cross, Craig (2004). "Beatles songs - S". Archived from the original on June 3, 2004. Retrieved 2004. ^ a b c White, Long Ago and Far Away, pp. 142-144. ^ "James Taylor Fine Art Print". Wolfgang's Vault. Archived from the original on January 12, 2009. Retrieved 2008. ^ a b White, Long Ago and Far Away, p. 144-145, 147. ^ Herbst, Peter (August 11, 1977). "James Taylor JT Album Review". Rolling Stone. Retrieved 2015. ^ "Lennon's death: I was there - BBC News". Bbc.co.uk. Retrieved 2015. ^ White, Long Ago and Far Away, pp. 275-276. ^ White, Long Ago and Far Away, pp. 279-280, 286. ^ "James Taylor Booking Agent - Corporate Event Booking Agent". Grabow.biz. Archived from the original on June 8, 2015. Retrieved 2015. ^ a b White, Long Ago and Far Away, pp. 281-286. ^ a b White, Long Ago and Far Away, pp. 287-288. ^ S, Amy (14 July 2016). 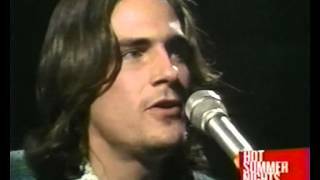 "Top 10 James Taylor Songs". ClassicRockHistory.com. Archived from the original on 14 July 2016. Retrieved 2017. ^ White, Long Ago and Far Away, p. 301. ^ Dixie Chicks (2006). "Musicares Honoring James Taylor". 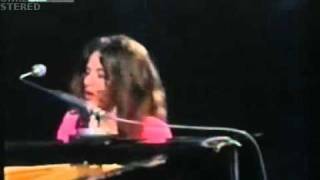 Video of Stage Performance. Grammy Award Sponsored Musicares. Retrieved 2008. ^ "The 2008 TEC Awards Winners". Legacy.tecawards.org. Retrieved 2015. ^ "James Taylor makes a new CD as an unsigned artist". Boston Herald. September 26, 2008. Retrieved 2015. 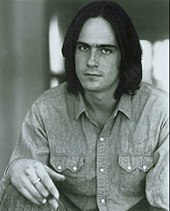 ^ "JamesTaylor.com. Other Covers [2009/CD]". Store.jamestaylor.com. Retrieved 2015. ^ "James Taylor Schedules 5 Free Concerts For Obama". Starpulse.com. Associated Press. October 16, 2008. Retrieved 2009. ^ Staton, John (October 21, 2008). 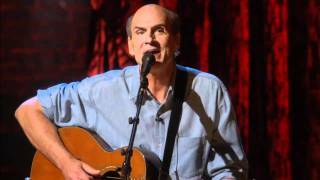 "Concert Review: James Taylor sings Obama's praises". The Star-News. Retrieved 2009. ^ Gallo, Phil (January 18, 2009). "We Are One: The Obama Inaugural Celebration". Variety. Retrieved 2009. ^ "James Taylor and Carole King Craft Season's Hottest Tour". Billboard.com. September 14, 2009. Retrieved 2011. 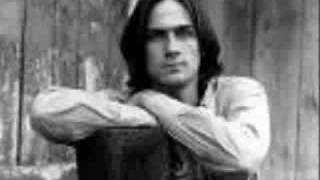 ^ "Walter Scott Asks ... James Taylor". Parade. June 14, 2015. ^ Moorhouse, Donnie (July 2, 2012). "Taylor Swift joins James Taylor at Tanglewood". Masslive.com. Retrieved 2012. ^ "Biden eulogizes slain MIT cop, says "terrorism as a weapon is losing"". CNN. April 24, 2013. Retrieved 2013. ^ "'He was truly one of us'". MIT News Office. April 24, 2013. Retrieved 2013. ^ "Inauguration 2013 Schedule: Times and events for Obama's celebration". nj.com. January 21, 2013. Retrieved 2013. ^ "After 45-Year Wait, James Taylor Earns His First No. 1 Album on Billboard 200 Chart". Billboard.com. June 24, 2015. Retrieved 2015. ^ a b c White, Long Ago and Far Away, pp. 310-311. ^ Glauber, Gary (August 13, 2002). "James Taylor: October Road". PopMatters. Retrieved 2009. ^ "James Taylor". MySpace. Retrieved 2009. ^ Why Does James Taylor Live in the Berkshires? Retrieved 2017-05-05. ^ "2009 Inductees". North Carolina Music Hall of Fame. Retrieved 2012. 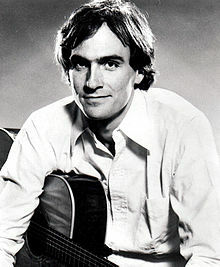 ^ "James Taylor to be given French cultural honor". Hearst Magazines UK. Retrieved 2013. ^ "BYUtv Broadcast of James Taylor, Mormon Tabernacle Choir and Utah Symphony Wins 2014 Emmy". Broadwayworld.com. October 18, 2014. Retrieved 2015. ^ "President Obama Names Recipients of the Presidential Medal of Freedom". The White House. November 16, 2015. Retrieved 2015. ^ "James Taylor to sing anthem for World Series Game 2". Usatoday.com. October 24, 2013. Retrieved 2014. ^ Mark Shanahan; Paysha Rhone (January 8, 2009). "Taylors turn to film". The Boston Globe. Retrieved 2009. ^ "Video: Poignant Moments From Sean Collier Memorial Service". Boston: WBZ-TV. April 24, 2013. Retrieved 2013. ^ "James Taylor performs with Tabernacle Choir, Utah Symphony" Archived September 8, 2013, at the Wayback Machine., The Salt Lake Tribune, September 6, 2013. 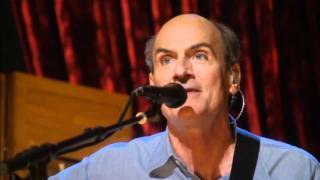 ^ "James Taylor cancels Philippines concert over Rodrigo Duterte's drug war killings". The Guardian. December 21, 2016. Retrieved 2017.